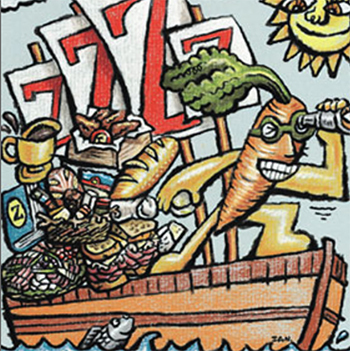 Hear about Zingerman's Mail Order's lean journey spanning close to 14 years, where it has led the company, and the benefits discovered by all employees. Discover some of the tools that Zingerman's has used along its lean journey, and the successes and pitfalls encountered. Learn how leaders coached frontline staff in a scientific thinking approach to their daily work. Kata empowers people to solve the problems of tomorrow. Explore how employees were kept accountable to practicing kata through the hosting of student groups from Dr. Likers lean thinking course at the University of Michigan, and tours from like-minded businesses looking to learn and develop. Gain insights into the company's path to becoming a kata coach. Some of the many results include; improvements to the seasonal hiring process, gains on key metrics like labor hours, labor dollars, efficiency and throughput of order fulfillment, and internal mistake rates. Jason Atlee is a production manager at Zingerman’s Mail Order. He manages the fulfillment operations, overseeing a full-time staff of 50 and temporary holiday crew of 200. He is responsible for coaching multiple simultaneous kata projects that involve the Zingerman’s crew, as well as outside students from the University of Michigan’s lean engineering school. Atlee also designs, constructs and tests many of the company’s lean work stations and marketplaces.